Trees are the easiest way to spruce up your garden. North Harbour Big Tree Company is the company you can trust to provide you with stunning trees that are ready for planting. 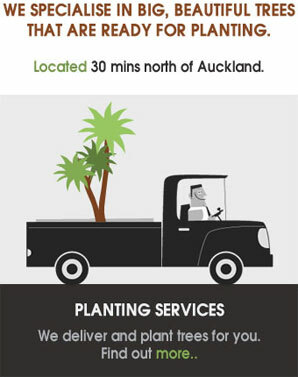 We are your local Auckland tree company committed to providing only the most outstanding tree planting and delivery service within the greater Auckland area. Whether you are a gardener or a landscaper, we are here to help. 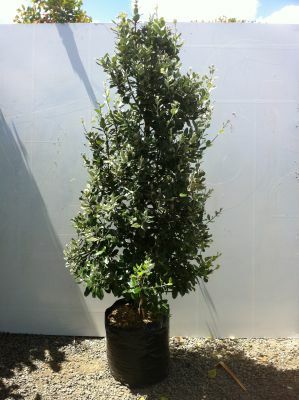 You can rely on our team to provide you with advice and suggestions for the right trees for your project or to source the plants you are looking for. We care about the work we do, so you can count on us to supply you with quality trees every time. Our staff have over 20 years of experience and the best tree planters on hand to help. With North Harbour Big Tree Company, you can be sure you get a quality tree every time. Whether you want to add some life in your garden or just do something good for the environment, browse our range of trees and contact us today. Whether you're a Professional Landscaper or a home owner with a passion for trees. Join our mailing list and receive notices of upcoming sales / specials right to your inbox.